Police say a 16-year-old who shot and killed a northeastern Pennsylvania cab driver wasn't a suspect in a triple homicide in New Jersey last December, as he claimed. But authorities say he did witness that crime and was interviewed. Scranton police charged Aazis Richardson with murder Friday night, hours after he allegedly shot 47-year-old Vincent Darbenzio twice in the head. 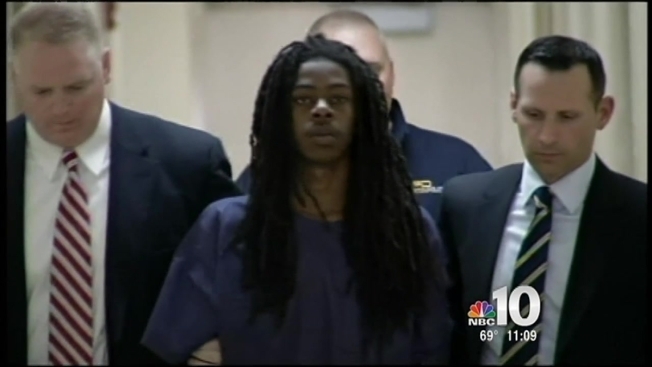 While in police custody Richardson told reporters he had killed the driver because he wouldn't take his preferred route. Newark detective Anthony Ambrose says Richardson was interviewed over the Christmas 2013 killings of three young teenagers, the Star-Ledger of Newark reports. That case resulted in the arrest of a 15-year-old. Richardson is in the county jail without bail on charges of first-degree murder, robbery and related counts.